Coach Carole. Why is it necessary to build online community when facilitating online? Join this webinar to participate in this discussion. Anne Mirtschin. This topic continues this week, looking at how we bring staff on board in immersing technology in education. Jess McCulloch. Discussion about ideas on how to use iPads in the languages classroom - and whether or not this is a tool that we want to use. Also, a critical discussion about apps for language learning. Ajay Pangarkar. This session directly addresses the need to develop and implement real-time employee training assessment strategies specifically designed to meet targeted business objectives. Utilizing an actual high-tech, consumer electronic Fortune 100 company renamed 'Orange Inc.' as a session case, participants discover how a company with exceptional customer support is driven in part by their focused training and employee assessment strategy. Jeff Magoto. This webinar will showcase course design and customization with ANVILL. Rushton Hurley. American students lack knowledge of world and local geography. Outdoor resources are being used less -- to the point that we could lose our natural treasures. The more physically engaged students are in their learning, the more effective and permanent the learning will be. Integrating GPS technology, geocaching, and Google Earth into all subject areas is one way to meet many students' needs all at once. Participants will learn about specific projects, including Google Earth placemarks, using wikis for collaborative planning, EduCaching ™ and other curricular uses of geocaching, and GPS units for data collection. Jason Borgen. Time will be spent to see how technology can assist in mastery of the standards and identify specific technologies and web 2.0 tools that can be used to assist teachers and schools in closing the digital-divide and most importantly, the achievement gap. Kim Caise, Lorna Costantini and Peggy George. Colt Briner, Co-Creator with Caitlin Tucker will join the Classroom 2.0 LIVE co-hosts to discuss the We Collaborize community. March 22nd - Midday Interview with Frederick Hess on "How School Reformers Get Stuck in Yesterday's Ideas"
Join me Tuesday, March 22nd, for a live and interactive FutureofEducation.com webinar with Frederick M. Hess, Resident Scholar and Director of Education Policy Studies at the American Enterprise Institute for Public Policy Research, and author of The Same Thing Over and Over: How School Reformers Get Stuck in Yesterday's Ideas . An educator, political scientist, and author, Frederick M. Hess studies a range of K-12 and higher education issues. He is the author of influential books on education including The Same Thing Over and Over , Education Unbound , Common Sense School Reform , Revolution at the Margins , and Spinning Wheels, and co-editor of the new volume Stretching the School Dollar, as well as author of the Education Week blog "Rick Hess Straight Up." His work has appeared in scholarly and popular outlets such as Teachers College Record, Harvard Education Review, Social Science Quarterly, Urban Affairs Review, American Politics Quarterly, Chronicle of Higher Education, Phi Delta Kappan, Educational Leadership, U.S. News & World Report, The Washington Post, and National Review. He has edited widely-cited volumes on education philanthropy, urban school reform, the impact of education research, and No Child Left Behind. He serves as executive editor of Education Next, as lead faculty member for the Rice Education Entrepreneurship Program, on the Review Board for the Broad Prize in Urban Education, and on the Boards of Directors of the National Association of Charter School Authorizers, 4.0 Schools, and the American Board for the Certification of Teaching Excellence. A former high school social studies teacher, he has taught at the University of Virginia, the University of Pennsylvania, Georgetown University, Rice University, and Harvard University. He holds an M.A. and Ph.D. in Government from Harvard University as well as an M.Ed. in Teaching and Curriculum. Amazon's Product Description of The Same Thing Over and Over : In this genial and challenging overview of endless debates over school reform, Rick Hess shows that even bitter opponents in debates about how to improve schools agree on much more than they realize—and that much of it must change radically. Cutting through the tangled thickets of right- and left-wing dogma, he clears the ground for transformation of the American school system. Whatever they think of school vouchers or charter schools, teacher merit pay or bilingual education, most educators and advocates take many other things for granted. The one-teacher–one-classroom model. The professional full-time teacher. Students grouped in age-defined grades. The nine-month calendar. Top-down local district control. All were innovative and exciting—in the nineteenth century. As Hess shows, the system hasn’t changed since most Americans lived on farms and in villages, since school taught you to read, write, and do arithmetic, and since only an elite went to high school, let alone college. Arguing that a fundamentally nineteenth century system can’t be right for a twenty-first century world, Hess suggests that uniformity gets in the way of quality, and urges us to create a much wider variety of schools, to meet a greater range of needs for different kinds of talents, needed by a vastly more complex and demanding society. March 21st - Interview with Bill Matthis from the National Education Policy Center on "Mistakes We Make in Thinking About Education and Reform." Join me Thursday, March 10th, for a live and interactive FutureofEducation.com webinar with William J. Mathis, Ph.D., the Managing Director of the National Education Policy Center at the University of Colorado at Boulder. The Center conducts independent, non-partisan and peer-reviewed research on the most critical and current educational policy issues. Jason Williams. Georgia Council of Teachers of Mathematics Regional Representative Meeting. Open to the public & discusses mathematics. Steve Hargadon. Steve will talk with Bill Matthis from the National Education Policy Center. Gailene Nelson. What participants look for in training are Ah-Ha! moments: the rare moments of inspiration and insights that help them understand and apply the learning ideas. Ah-Ha! moments don’t occur by accident, though. They are byproducts of well planned, highly motivational, and engaging design learning and training events. In the webinar, we will present proven techniques used in preparing and organizing videos, slides, webinars and games to immediately create long-lasting learning experiences. Steve Hargadon. Steve will interview Frederick Hess on his book, "The Same Thing Over and Over: How School Reformers Get Stuck in Yesterday's Ideas"
Tomas Chaskel. Nuestra presentadora quiere aprovechar este taller para compartir y realizar un conversatorio sobre unas ideas que viene delineando. BUENO TRAER MICROFONO Sería algo así como identificar en la web 2.0 algunas aplicaciones que van quedando como básicas y duraderas frente a otras que surgen, pero desde el sistema educativo se ignoran. Específicamente: estamos dando por sentado que un profe debe saber armar un blog, manejar una wiki y conocer herramientas de e-learning. Parece ser que esto... que fue lo primero que surgió en la web 2.0 ya se tiene incorporado y no se discute para el sistema educativo. Pero, cuando se incorpora algo nuevo, se hace como web 2.0. Digitalicemos las clases y no generemos cambio metodológico. ¿Estamos de acuerdo? Jim Gerry. Global Science Seminars brings scientists from the Field Museum, the Shedd Aquarium, the National Park Service and other agencies to students and classrooms allowing interactive live sessions with questions and answers. Prior to the video conference advance-reading materials are available for download via CoolHub.IMSA. Following each session the scientist continues to engage with participants for two weeks using Forums for extended learning. This session features Dr. Chuck Knapp from the Shedd Aquarium talking about "Conserving endangered iguanas in the Bahamas"
Maria Droujkova. Henri Picciotto, the founder, will introduce his community for middle and high school teachers escaping the textbook. Dean Mantz. Dean Mantz and the ladies of LiveBinders, Tina Schneider and Barbara Tallent, will provide another evening of Tips and Tricks for a successful integration of LiveBinders into education. Molly Williams. Join this webinar for a CSOV Student Newscast. George Couros. Join this webinar for a CSOV Student Newscast. Gwyneth Jones. While copyright & fair use can be confusing to navigate you CAN use copyrighted material in your creative work! Anne Mirtschin. Technology has enabled us to break down physical barriers and connect face-to-face with others around the world. Such connections can lead to global collaboration and mutual understanding. What could be more engaging than kids talking to kids across the world? What better way to encourage intercultural understanding, international-mindedness, and global awareness? The session will include examples of exciting collaborations which have enabled the ‘flattening of classroom walls’, allowing students to learn from and with people around the world. It will explore the ways learning can be enhanced through such interactions. It will highlight what we have learned, challenges and successes, and effective ways such connections can be established. Jess McCulloch. Andrew Jeppesen has been using technology in his classroom for the last few years and has had some great success. Andrew will share what he is currently doing with technology in his Japanese classroom. Scott Merrick. Second Life provides a robust platform for collaboration that provides educators with the opportunity to meet with friends all over the globe, all together, in one place. That place happens to be a virtual world. Join host Andy Wheelock (Spiff Whitfield in SL) as he chats with Linden Labs' Terence Linden, seeking a collective understanding of just where Linden Labs stands with our community in terms of the future of education in Second Life. Join us here or in Second Life or in both! Sponsored by ISTE Special Interest Group for Virtual Environments. Anne Mirtschin. Jo McLeay, a veteran web2.0 user, will speak about life long learning and the great benefits of a PLN (Personal Learning Network).Have you heard the word net.know as in someone you have net.known for years and what a real relationship that can be even without meeting f2f. So different from how the print media presents it. Come, listen to and share with Jo. Maria Droujkova. Open source, free Canvas LMS from Instructure features strong math support and built-in social media integration. Katie Christo. What do you get when you cross a digital poster with a blog? You get a Glog! Glogster EDU is a an exciting and free, online site for students and teachers to create multimedia pages to present projects and other course work. In this 30 minute session we will share examples of class Glogs and how to get started with your own Glogeter site. Lou Russell. Successful project management requires holding people accountable who do not directly report to you. These people don't have to do anything you say, technically. In this session, learn techniques and strategies for influencing people to help you get your projects done successfully, to increase overall accountability of everyone involved and get it all done at the quality, price and time your business needs. Kim Caise, Lorna Costantini and Peggy George. Ben Pappell, Steve Muth & Katie Beck will share about the new features recently added to VoiceThread. Maria Droujkova. Richard will talk about his latest book "Mathematics 1001" and his other math popularization projects. 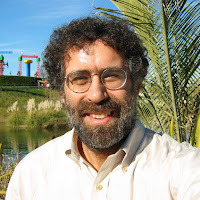 Join me Thursday, March 10th, for a live and interactive FutureofEducation.com webinar with Mitch Resnick, Professor of Learning Research at the MIT Media Lab. Scratch: Democratizing Digital Expression. With the Scratch software, kids can create their own interactive stories, games, and animations - and share their creations online. Kids learn to think creatively, reason systematically, and work collaboratively, while learning important computational ideas. Scratch has been called "the YouTube of interactive media." Programmable Bricks: Learning through Designing. With Programmable Bricks, children can build and program their own robots, kinetic sculptures, and other interactive inventions - and learn science and engineering concepts in the process. Programmable Bricks served as inspiration for the LEGO MindStorms, PicoCricket, and LEGO WeDo robotics kits. Computer Clubhouse: Bridging the Digital Divide. He co-founded the Computer Clubhouse project, an international network of 100 after-school centers where youth from low-income communities learn to express themselves creatively with new technologies. Join me Tuesday, March 8th, for a live and interactive FutureofEducation.com webinar with Don Smithmier, founder and CEO of Sophia, a social teaching and learning platform. Don Smithmier is the founder and CEO of Sophia, which was created on the premise that there are millions of great ideas, methods, lessons and people who can contribute to society’s goal of spreading knowledge and making education better and more effective. His goal is to use innovation to bring education and technology together in an impactful way for students, teachers, parents, tutors and more. Previously, Don was an early‐stage employee and ultimately Vice President at Capella University (NSDQ: CPLA), the first fully-online, accredited university. During his 14 years at Capella, Don held a succession of Marketing, Technology and Business leadership roles and was recognized as a pioneer in online advertising and the innovative use of web technologies. 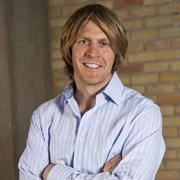 Don is a winner of the Minneapolis St. Paul Business Journal’s “40 Under 40” and founder of Matter Worldwide (www.matterworldwide.com), the parent company of three successful start‐ups including GoKart Labs, the digital innovation company that incubated and built Sophia. 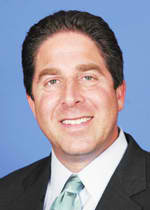 Don earned his MBA with honors from the University of Minnesota and his BA from the University of Wisconsin. From the website: "Sophia enables innovation by connecting learners, teachers, experts and parents. We provide an academic community where everyone has access to learning that surrounds and supports the traditional classroom. We encourage variety and creativity in teaching so that everyone can learn in a way that makes sense to them. "Sophia is a social teaching and learning platform that taps the teacher in all of us and enhances the learning process by providing access to a wealth of knowledge, help, instruction, standards-aligned content, and expertise available to learners everywhere. "We want to harness technology for the betterment of the educational system as a whole. We can all help others learn. And Sophia’s mission is to be a catalyst in this educational movement." Maria Droujkova. Learn To Be offers free tutoring online to economically disadvantaged students. Do you have ideas for our chapter at Syracuse University in New York? Come and meet the Steering Committee. Gwyneth Jones. The economy has been hit hard and schools are feeling it - some states are not funding databases any longer - but don't fear - one Website curated the best of the Web for educators, and it's free to use! Shannon Miller, librarian at Van Meter Schools in Iowa, and Mark Moran, Founder of Dulcinea Media, will offer guidance and insight that helps teacher librarians teach students - and faculty - how to use the Web effectively, safely, efficiently and responsibly. They will show how educators and students can use SweetSearch and other Web sites to easily find primary sources and the best content on the Web for current events, history, language arts, science and culture. Rushton Hurley. Learn about all sorts of free, online tools for working creatively with digital images. Steve Hargadon. Steve will talk with Kevin Kelly about his brilliant book, What Technology Wants. Anne Mirstchin. Find out how Challenge Based Learning was used with Primary and Middle Years students, by someone who has actually taught it. Tomas Chaskel. La forma como nuestros estudiantes se comunican e interactuan hoy es muy diferente a como nosotros lo hacíamos hace algunas décadas. Es importante conocer las compentecias que los estudiantes de ahora deben desarrollar para vivir, aprender y trabajar con éxito en una sociedad cada vez más compleja; es por esto que el docente actualmente desempeña una tarea de gran importancia para que los estudiantes puedan alcanzar y desarrollar las competencias que necesitan. En esta charla se hablará de los estándares de las competencias en TIC para docentes propuestas por UNESCO en el año 2008, como punto de referencia y continuo mejoramiento en la labor como docentes del siglo XXI. Anne Mirstchin. This session will be a general sharing session where participants can ask questions about blogging from where to begin, how to write posts, tag, add categories, what to write etc about right through to advanced blogging and what makes an effective blog. What place does blogging have in eLearning? Come along and share your blogs and your questions and join in the conversations. Maggie Kaiser. Global Read of "The Red Umbrella" by Christina Diaz Gonzalez - live chat with the author. Kimberly Lightle. Science and literacy instruction in the elementary grades is the focus of a new series of web seminars for the 2010-2011 school year. The series is sponsored by Beyond Penguins and Polar Bears, an NSF-funded project that provides professional development and instructional resources to elementary teachers. Steve Hargadon. Steve will talk with Mitch Resnick from MIT Media Lab. Kim Caise, Lorna Costantini and Peggy George. Join Kim, Lorna and Peggy as they talk with Carol Broos, Music Teacher. Maria Droujkova. Bubblz the clown has metre balloons and is not afraid to use them at schools and conferences! Ben Daley. Educators gather virtually to discuss student work and educator dilemmas. Don't Miss These Great Activities at CUE and ISTE! The first ever EduBloggerCon took place at the Shakey's Pizza Parlor during CUE in Palm Springs five years ago, and there were just two of us there (my annual big shout out to Barbara Barreda)! Now a regular event at several conferences each year, EduBloggerCon is an opportunity for those who are interested in the use of social media in education to gather in "unconference" style and share--the agenda gets set when we arrive together. You don't have to be a blogger to come, beginners are MOST welcome, and EduBloggerCon is always free! CUE EduBloggerCon is on Wednesday, March 26th, from 4 - 8pm. CUE provides us with the meeting space and free power and wireless--so bring your laptop, your desire to learn, and join us from at the Palm Springs Convention Center in the Mesquite F room. ISTE EduBloggerCon is on Saturday, June 25th, all day! More details on both events can be found at http://www.EduBloggerCon.com. Please join us! Check the programs of both conferences for these, but just a quick shout-out of appreciation to the show organizers for supporting Open Source. CUE also lets us set up dozens of computers using Linux and Open Source Software in a lab setting so that you can see what Open Source is and how it works. Look for the lab at CUE (it's hard to miss us because the lab becomes the conference evaluation station! ), and consider coming to some of our sessions at either conference! Look for the Bloggers' Cafe areas at CUE and ISTE--they are greats place to socialize, grab some network access, and relax with others. You don't have to be a blogger here either, but it's a fun place to put faces to the names of your blogging, tweeting, Second Life, or other online friends! Again, beginners MOST welcome! Here's to the crowd-sourced activities at these conferences, and to forward-thinking conference organizers! This Wednesday, March 2nd, at 12 noon US Pacific Time / 3 pm US Eastern the EPA WaterSense and WasteWater Education will present a free hour seminar to introduce home school, elementary and high school teachers to the curriculum materials available from USEPA to promote March 14-20, 2011 "Fix A Leak Week!" Name: EPA WaterSense/WasteWater Education: Fix-A-Leak Week! Location: In Elluminate. Log in at https://sas.elluminate.com/site/external/jwsdetect/dropin.jnlp?sid=lcevents&password=Webinar_Guest. The Elluminate room will be open up to 30 minutes before the event if you want to come in early. To make sure that your computer is configured for Elluminate, please visit http://www.elluminate.com/support. Recordings of the session will be posted within a day of the event at the event page. More information: EPA WaterSense and WasteWater Education will present a free hour seminar to introduce home school, elementary and high school teachers to the curriculum materials available from USEPA to promote March 14-20, 2011 "Fix A Leak Week!" No registration is required. Click on the participant link at 2.45pm EST on March 2 to enter the meeting. Type in your name. The session will start promptly at 3pm EST. In 2009, EPA WaterSense's 2,100 partners collectively saved over 36 BILLION gallons of precious drinking water. Which translates into 4.9 billion Kwh of electricity saved! Which means over 1.75 million metric tons of carbon dioxide didn't go into our atmosphere! This presentation is applicable for anyone who teaches physical sciences, environmental or social studies and would like to inspire their students to action!